Today, I’m going to take a look at the 2003 big screen attempt at adapting Marvel’s green giant, Hulk. 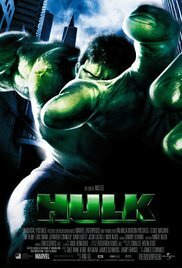 The screenplay for Hulk was written by Michael France (Cliffhanger, Fantastic Four, The Punisher), John Turman (Fantastic Four: Rise of the Silver Surfer), and James Schamus (The Ice Storm). The character of Hulk was created by one of the most influential duos of comic book creators of all time – Stan Lee and Jack Kirby. Hulk initially debuted in The Incredible Hulk #1 in May of 1962, and was intended as a re-envisioning of stories like Dr. Jekyll and Mr. Hyde and Frankenstein. Hulk was directed by Ang Lee, who is known for such films as Life of Pi, Crouching Tiger, Hidden Dragon, and Brokeback Mountain. The cast of Hulk includes Eric Bana (Munich, Troy, Chopper, Star Trek), Jennifer Connelly (A Beautiful Mind, Requiem For A Dream, Creation, The Rocketeer, Noah), Sam Elliott (Road House, Ghost Rider, The Big Lebowski, Justified, Fatal Beauty, We Were Soldiers), Josh Lucas (American Psycho, Poseidon, A Beautiful Mind), and Nick Nolte (Mother Night, Cape Fear, 48 Hours, Warrior, Blue Chips, Luck). The cinematographer for Hulk was Frederick Elmes, who shot the David Lynch movies Blue Velvet, Eraserhead, and Wild at Heart, as well as films like Moonwalker and Horns. The editor for the film was Tim Squyres, who also cut the films Life of Pi, Gosford Park, Winter’s Tale, and Crouching Tiger, Hidden Dragon. The music for Hulk was composed by Danny Elfman, one of the most prolific currently-working film scorers. His credits include The Simpsons, Batman, Spider-Man, Darkman, The Frighteners, Edward Scissorhands, Men In Black, and countless others. The production history on Hulk goes all the way back to the 1990s, though the film had to wait until technology made it feasible before moving significantly forward. 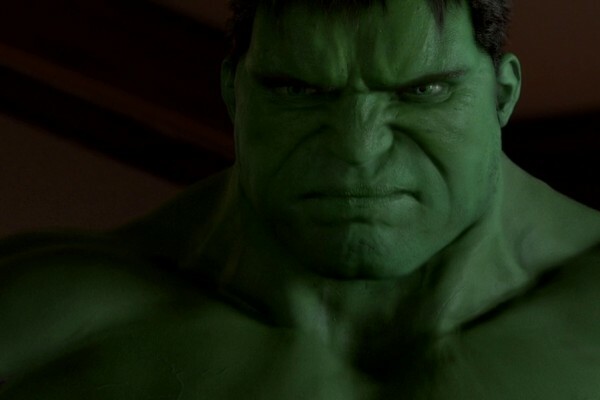 At one point, there was even a plan to have Hulk be portrayed by animatronics. Hulk was given a 30-second commercial during Super Bowl XXXVII as part of its promotion, which cost the studio $2.1 million on its own. Edward Norton, who would later play the character of Bruce Banner in a future film adaptation, was offered the lead role in Hulk. He turned it down, reportedly due to issues he had with the screenplay. Upon its release, Hulk got a mixed reception. Currently, it holds Rotten Tomatoes scores of 62% from critics and 29% from audiences, alongside an IMDb user rating of 5.7/10. Financially, it opened strong at the box office, but rapidly lost steam in following weeks, totaling out with lifetime theatrical gross of a lukewarm $245 million on a $137 million budget. For the sake of full disclosure, I’ve been planning a post on this movie for years. 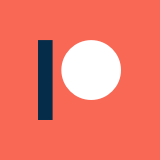 I’ve re-watched it at least three times since I started the blog, and every time I have had different thoughts on it, and never wound up finishing the post. This is a movie that occupies a weird space in comic book movie history, and there are some interesting analyses of it out there that are worth checking out. The reception to the film, as pointed out above, wasn’t nearly as negative as the revisionist zeitgeist might have you believe. Roger Ebert gave the movie 3/4 stars, and stated that it was “the most…thoughtful recent comic book adaptation. It is not so much about a green monster as about two wounded adult children of egomaniacs.” This is, as usual, a keen observation from Ebert – thematically, this is a very mature and somber movie, which is befitting of a tormented and internally-divided character. Probably the biggest boon to the movie is one of those “egomaniacs” – Nick Nolte’s portrayal of David Banner. Nick Nolte is, in my opinion, one of the most underappreciated actors out there, probably due to his bizarre personality and behavior. He puts in a performance here that is pitch-perfect for what was needed of him – an obsessed, deranged, abusive father who values his scientific work over the people around him. At its core, this is a movie about relationships and trauma, and Nolte’s character is the darkest and most volatile source of both for Bruce Banner. Without Nolte’s performance, there would be no chance for this film to hold together. All of that said, there are definitely problems with this movie. Probably the most often derided element of the film is its computer effects work, which is wildly inconsistent. Some sequences are pretty astounding for being 15 years old, whereas others (like the infamous dog battle) just look embarrassing now. It is worth pointing out, however, that even in the latest Avengers movies, portrayals of Hulk vary in quality quite a bit. I tend to think of Hulk as being what a comic book movie might look like in a parallel universe. Elements like the experimental editing effects are interesting, in that they definitely mimic the comic book form. In intention, this creative decision was not unlike Whedon’s “hero shots” from his Avengers movies – an earnest attempt to adapt a visual signature from one medium into another. Ultimately, the perception from audiences is what made the difference: audiences like Whedon’s take, and didn’t go for Lee’s. Something else that Lee captures from comics that most adaptations forego is the earnest melodrama that seeps from the pages of so many books. It is easy to call Lee’s Hulk bland and boring, and more talking heads than action – but that is pretty accurate to a lot of comic books. People forget about the quantity of text bubbles in a lot of comics – there’s a lot of ruminating, plotting, and introspecting in a whole lot of Marvel sources – something that mostly hasn’t translated to their adaptations, though probably for good reason. Ang Lee, perhaps due to a pioneering spirit or a bad working relationship with his editor, failed to conform to this structure at all with Hulk. For folks who have seen this film, here’s an experiment – what is the climax of this movie? If you had asked me before this latest re-watch, I would have said the pursuit of Hulk through the desert and into the city was the climax. It is a visually compelling sequence with high stakes and a lot of emotion. It may resolve with a whimper, but it felt like a pretty distinct peak in the action to me – afterwards, the film slows down again, and seems to be moving into falling action. Instead, there is another huge battle, at the point where I felt like the movie should be ending. Ultimately, there’s isn’t really any falling action, outside of a concluding scene that primarily takes place through a phone call. When movies forgo the traditional structure, it take a skilled hand to keep an audience engaged. We are Pavlovian creatures when it comes to movies – we’ve been conditioned to subconsciously understand the story structured of the film. In a way, we act as a metronome when we watch movies. If the film doesn’t keep pace with the beat of our expectations, then we get bored and disinterested, unless it goes above and beyond to hook us in. Lee makes the mistake of forgoing the traditional structure without using anything as a hook, the there is a sense of arrhythmia to the screenplay. That’s why this movie feels even longer and duller than it actually is: it ain’t got no rhythm. It is worth noting that this kind of failed experimentation is a real risk inherent to auteur film-making with comic book properties, or any kind of previously established intellectual property. Sometimes, the director’s vision resonates wonderfully with audiences, and you’ll get a Guardians of the Galaxy or a Black Panther. Other times, you are bound to get an experimental bore of a film with more ambition that sense. Honestly, I wouldn’t be surprised if the response to Hulk is part of why Marvel has held the creative vision of its films so close to the chest for so long. It is high-risk, high-reward. However, now that audiences have caught on to some of the monotone elements of Marvel movies, the studio has started letting auteurs do their thing, like Coogler, Gunn, and Waititi. The same goes for Fox and James Mangold, as well as the Deadpool team. On the whole, Hulk is kind of fascinating on an academic level – this is what happens when an auteur takes a comic book movie off the reservation and off the established rails. That said, this movie isn’t fun or engaging in the slightest. I’m still not sure if this quite qualifies as a bad movie or not, but it certainly isn’t an effective one.